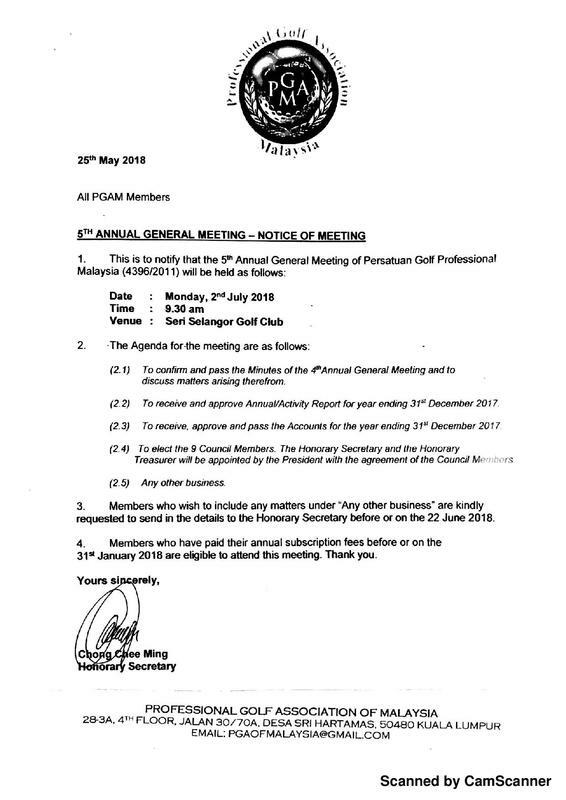 Kuala Lumpur, - The PGA of Malaysia has announced it’s new council for the 2018-2020 term. 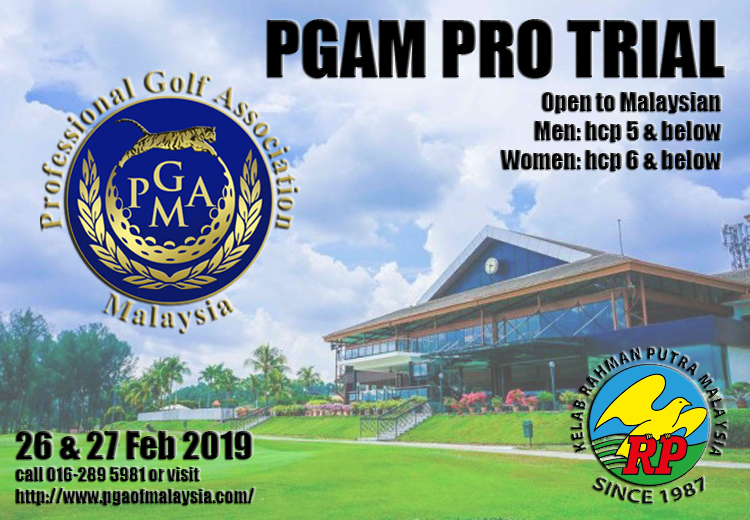 The 5th AGM of the PGA of Malaysia was held at 10.30am on the 2nd July 2018 at Kelab Golf Seri Selangor after it successfully attained a quorum of 60 attendees. A total of 65 members attended the AGM. 9 individuals were nominated and won uncontensted. The President - Mr. Valrick Harris Zainal Abidin. 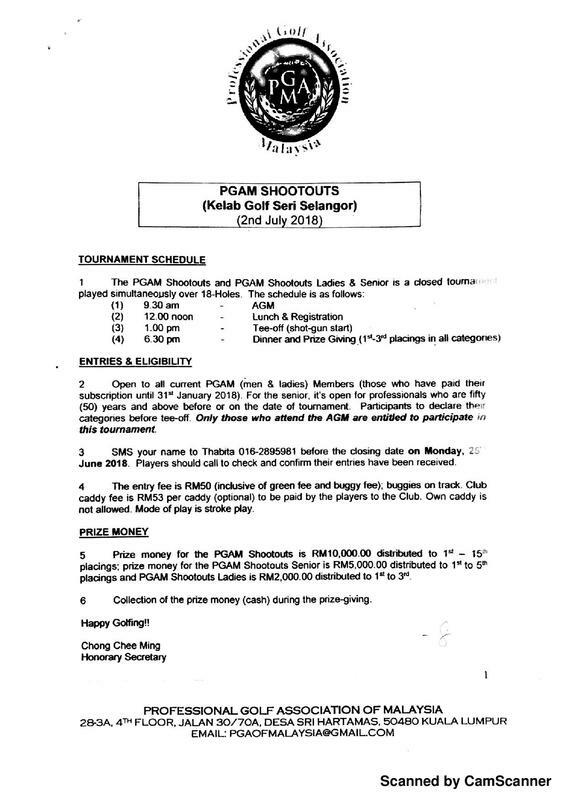 The President will appoint the “Honorary Secretary” and the “Honorary Treasurer” and will announce the names of these candidates in the upcoming Council Meeting.